A combination of sharp looks and a quality interior make this a desirable little SUV. Not only is this the most powerful car here, but it also has the cleverest seating. It may not have a premium badge, but the T-Roc is stylish and well equipped. Is a car just a way of getting from A to B? For the beige brigade in their drearily coloured, boringly styled transportation devices, the answer may well be ‘yes’. If however, you’ve got an eye for style and like to express yourself at every opportunity, the answer will be a resounding ‘no’. Probably with an exclamation mark at the end. Should you fall into the latter camp, these three small SUVs might already be on your radar. 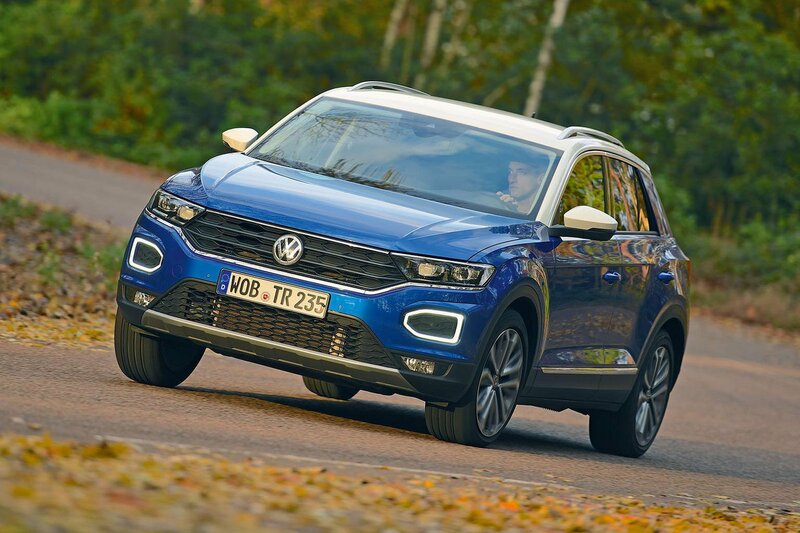 The newest of them is the Volkswagen T-Roc, which is based on the Golf and slots into the company’s line-up below the Tiguan. It’s more style-orientated than its big brother, offering more personalisation options than we’re used to seeing from Volkswagen. Like its rivals, it’s being tested in 2.0-litre diesel form, paired with optional four-wheel drive. 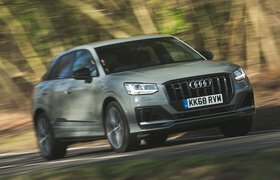 Our high-spec SEL T-Roc is up against the familiar Audi Q2, which has impressed in previous group tests. Under the skin, it’s closely related to the T-Roc and uses the same 148bhp diesel engine and gearbox. We’re testing it in sporty S line trim. Our third contender is the Mini Countryman. With 187bhp in Cooper SD form, it’s the most powerful car here, and like any Mini, it offers plenty of scope for personalisation, inside and out. 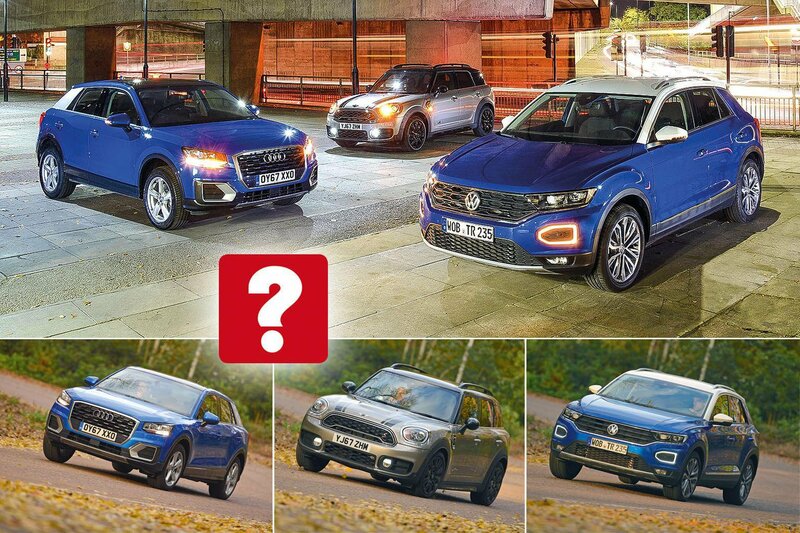 None of our trio leaves you in any doubt as to which fuel they run on; all have a distinctive diesel grumble, although it’s the T-Roc that proves marginally the most refined. The Q2 runs it close, but the Countryman is the noisiest at tick-over and under acceleration. At a steady cruise, the T-Roc is again the quietest, generating less wind and tyre noise than its rivals. The Countryman’s extra poke pays dividends when it comes to acceleration, though. It leaps off the line quickest and pulls away from its rivals even more tellingly when you put your foot down at higher speeds. There’s virtually nothing to separate the Q2 and T-Roc; both are pleasingly brisk and you’re never likely to think that they’re short on puff. The only gearbox option with all of these punchy 2.0-litre diesel engines is an automatic. In the case of the Q2 and T-Roc, it’s a seven-speed dual-clutch unit, while the Countryman has a conventional eight-speed automatic. The dual-clutch ’boxes are slightly smoother in normal use, although the Countryman’s is less hesitant if you accelerate hard from low speeds. The fact that they have four-wheel drive means all three cars have excellent traction in slippery conditions, although none is a gifted off-roader. A grassy car park shouldn’t be too troublesome, but their suspension is too stiff and they lack the ground clearance to deal with major obstacles. None of these SUVs has a particularly cushy ride, although the Countryman is the least comfortable. While the Q2 and especially the T-Roc take the edge off bumps at higher speeds, the Countryman jostles you around a surprising amount, making long trips an unpleasant experience. Smaller wheels help (our test car had optional 18in rims), but the optional adaptive dampers (£450) really aren’t worth the money. Around town, the Countryman’s ride gets even worse, although the Q2 could also do with being more supple. The T-Roc deals with town imperfections the most adroitly. 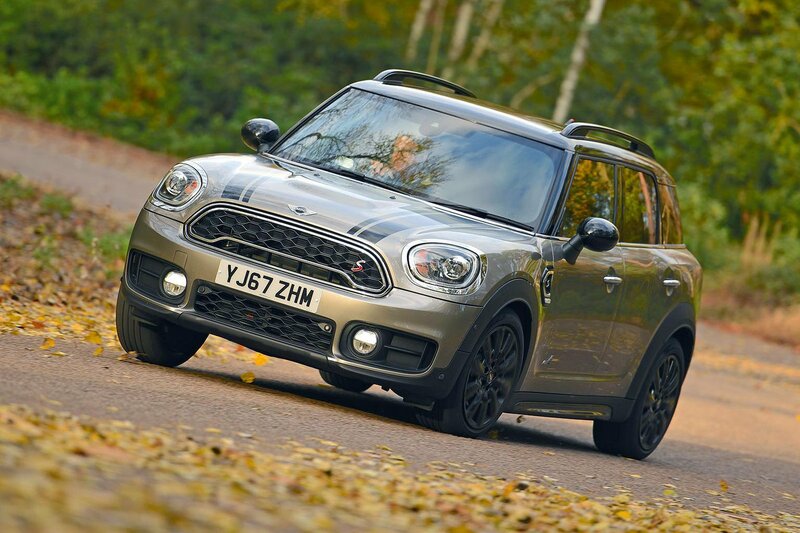 You might expect the Countryman to be the most fun to drive, but sadly that isn’t the case. Yes, the steering is quick to react when you initially turn the wheel, but it provides little feedback and the car feels cumbersome in high-speed direction changes. The Countryman also has the least grip in corners. 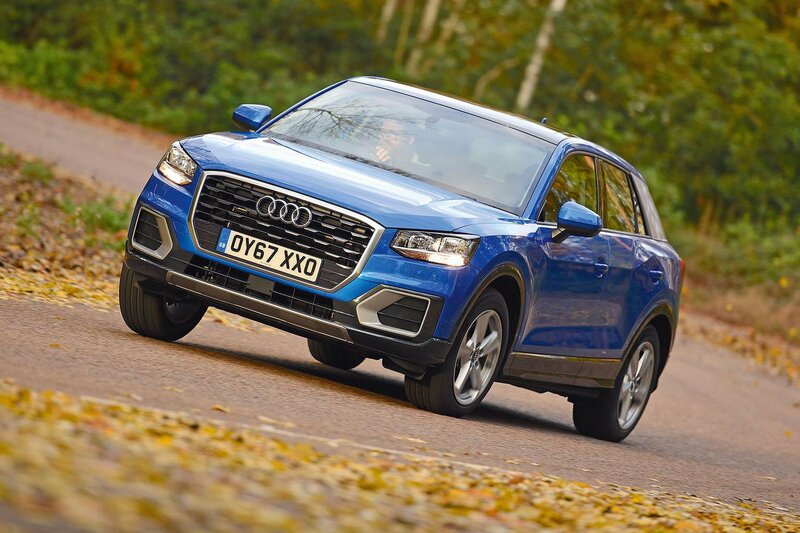 Both the Q2 and T-Roc are much more agile, gripping harder and turning in more eagerly. This is especially true of the Q2, although the T-Roc has slightly more natural-feeling steering. The Q2’s quicker steering makes it easiest to manoeuvre around town, though.